Updated 16:41PM, Friday January 4th, 2013	by James Warwood, Christian.co.uk Be the first to comment! 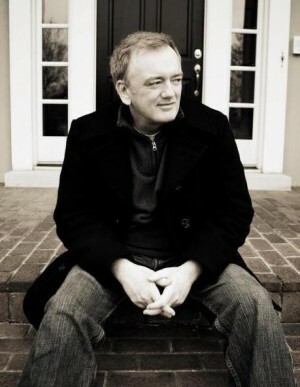 We spoke to debut Christian fiction author, William Sirls, about his turbulent journey to faith and his passion for writing books that spark a faith dialogue between Christians and non-Christians. While working 60 hour weeks as the Senior Vice-President at one of America’s largest investment firms, William found the time to write a manuscript about a magical character that appeared in a hospital and made the smiles last. But soon his crimes caught up with him, and in 2007 William was incarcerated for wire fraud and money laundering. “... only 10% of Christians share their testimonies.”When we were talking over an internet phone, William was in between touring with what he calls his ‘icebreaker’ novel. He has been tirelessly communicating the power of testimony, through telling his own story and encouraging others to tell theirs. 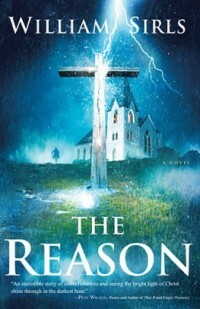 ‘The Reason’ encircles a community of people trying to deal with their own baggage – cancer, abuse, alcoholism, doubt – and how they discover faith through a mysterious character who seems to know them inside out; a carpenter who fixes the church's lightening-struck wooden cross. It encourages the groundwork for meaningful reflection, opening up opportunities for genuine and meaningful discussion about the reader's spiritual journey; whether they’ve just opened the gate or they’ve been walking down the road for decades. We can expect his next equally thought-provoking novel to be available on Eden.co.uk late August/early September 2013. Until then we hope you enjoy his debut novel, pass it on to a friend and spark a spiritual awakening in their heart, and discover your God-given gift – as William Sirls so clearly has.